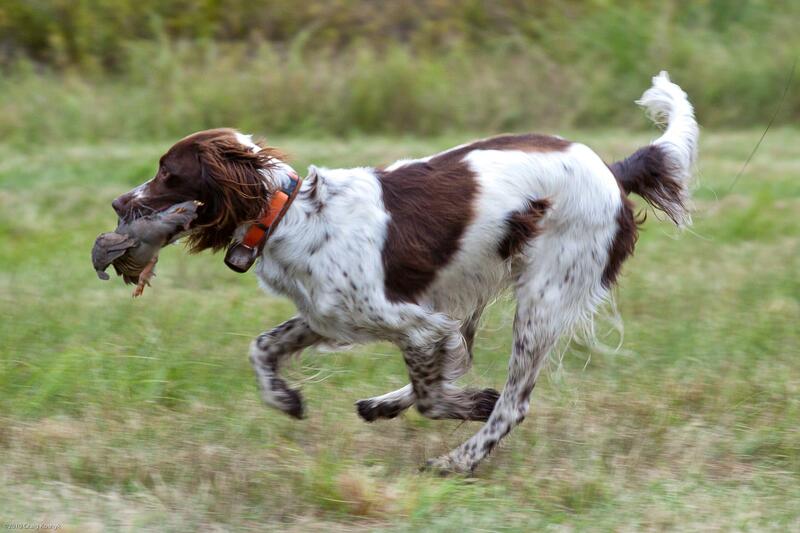 The French spaniel is certainly one of the oldest races of pointer. It is downward dogs of Oysel, famous “the sleeping dog” of the Middle Ages used for net hunting, described by Gaston Phébus (1331-1390). It was very much used with the rebirth for hawking. At the XVII century, one found it in Versailles where one made use of him to drive out partridge and pheasant. Many engravings testify some. 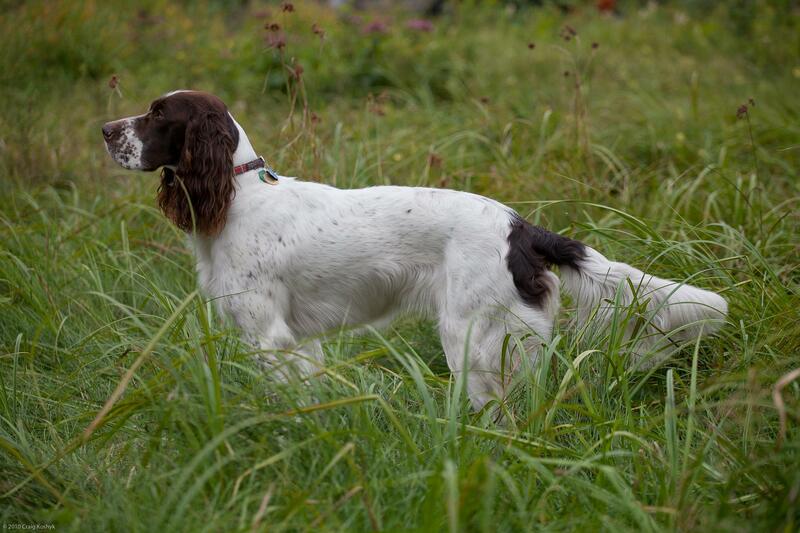 The French spaniel is at the origin of the various varieties of current hunting spaniels. The first standard was drawn up in 1891 by James de Connick; it was altered since on several occasions and was adapted to the various evolutions of the race. This typically French dog was imported in Quebec at the beginning of the Seventies. The Club of the French Spaniel was created in Canada by April 1978 and this group of amateurs succeeded in 1985, making official recognition of the race by the Canadian Kennel Club. 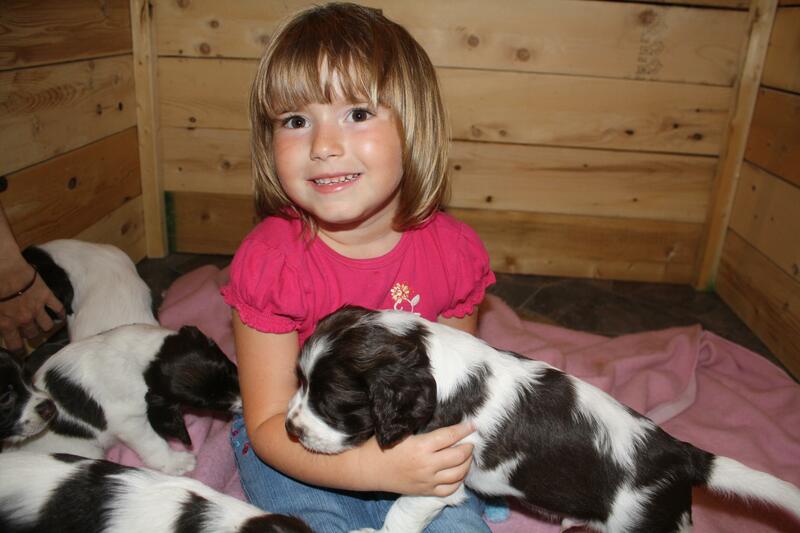 The French spaniel is a medium size dog, elegant and athletic. Its splendid white dress, with brown spots, can be slightly spotted. It's beautiful large eyes scents with amber dark, of oval form, express softness and intelligence. It shows a soft and pleasant character. Very attached to its Master, it fully develops his qualities while living with him. It is said balanced, frankly, calm, flexible and sociable with his congener. Very patient with children, he likes to play without ever hurting them. Incompetent to bite, it however warns very well his Masters of the arrival from abroad. He recognizes a family member after long months of absence. The French spaniel is a marvellous family dog and, by its calmness at home, he is an ideal companion in all circumstances. There is between 300 and 400 diseases indexed in the dog. No race escapes from it. Therefore, the French spaniel made there not exception even if it has a robust health. Moreover, since many years the club collaborates financially by an annual gift in the “Funds in Health of the Pets “of the Medical veterinary college - University of Montreal. This fund is dedicated amongst other things in search of solutions with problems associated with the various diseases affecting the pets. This what the club has done to protect the French spaniel from the various genetic diseases which could on the occasion affect it.